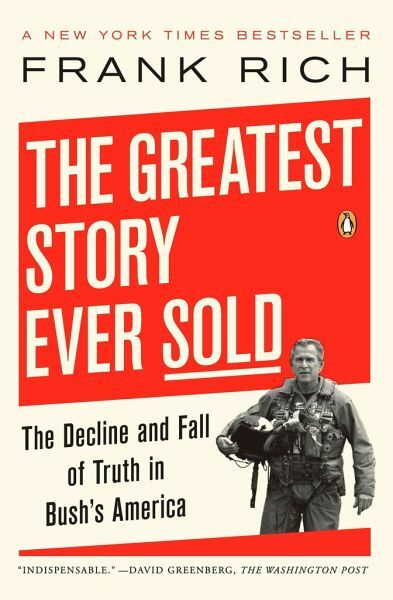 Demonstrating the candor and conviction that have made him one of our most trusted and incisive public voices, The New York Times columnist Frank Rich brilliantly and meticulously illuminates the Bush administration's disturbing love affair with "truthiness." Rich's step-by-step chronicle shows how, in the wake of 9/11, a propaganda president and his advisors misled a nation into war in Iraq and how the bungled aftermath, a Washington leak, and a devastating hurricane at long last revealed the lies in a story that had been so effectively sold to the nation as God-given patriotic fact. Frank Kelly Rich is the founder and editor of Modern Drunkard Magazine, the voice of the recreational drinker. Mr. Rich has spent the greater part of his life absorbing lessons and libations alike in bars the world over. He is also the author of four booze-noir action-adventure novels, and the writer and director of the booze-noir film Nixing the Twist.